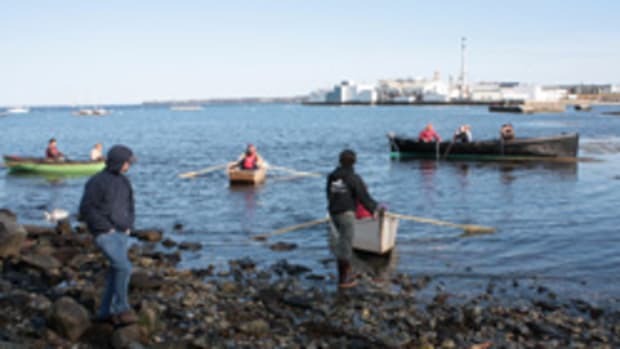 On June 5, students at the International Yacht Restoration School in Newport, R.I., will take part in the school&apos;s unique annual graduation rite at the IYRS docks. Instead of picking up diplomas that prove hours of learning, students will climb aboard the boats they spent the last year refitting and restoring and test their workmanship on the water. 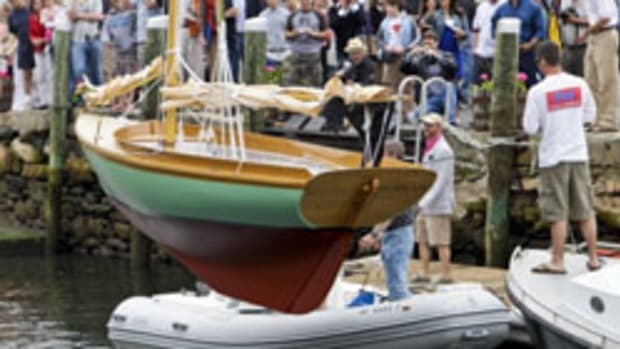 The public is welcome to join Launch Day festivities and see the craftsmanship produced by IYRS students in the two-year boatbuilding and restoration program and the one-year marine systems program. Graduation ceremonies begin at the IYRS&apos;s Newport campus (449 Thames Street) at 10 a.m. inside Restoration Hall. The launching immediately follows at the IYRS docks. This year, students gave the IYRS-restored, 23-foot motor launch Renegade a complete systems refit. Boats being launched by students include: a fleet of 12-foot Beetle Cats, the iconic New England catboat design that dates to 1921; a 1929-launched Herreshoff 12-1/2 originally built by the Herreshoff Manufacturing Company; a 20-foot, 1941-built Garwood &apos;Vacationer&apos; motor launch originally built by Garwood Wood Boat Division in Michigan; and a Chris-Craft Model 17 15.5-foot Deluxe Runabout originally built by Chris-Craft Corporation in Michigan in 1940.